Osama Bin Laden Warned Of Civil War Between Jihadi Groups : Parallels The recently released bin Laden papers include letters in which the al-Qaida leader warned against establishing an Islamic state too soon. He also feared conflicts between rival Islamist groups. Recenty released letters from former al-Qaida leader Osama bin Laden show he warned against declaring an Islamic state too soon. He also feared that rival jihadist groups could battle each other, as has happened between al-Qaida and ISIS. In the final years of his life, bin Laden expended a great deal of energy warning his followers not to establish an Islamic state too soon. He believed it would prove impossible to defend and might end up destroying the movement he had helped found. Those warnings surfaced last week, when U.S. intelligence officials declassified a new batch of documents taken from bin Laden's compound in Abbottabad, Pakistan, in 2011. In one, bin Laden writes to a man he addresses as "Generous Brother Abu Basir" — the leader of al-Qaida in Yemen. "We want Sana'a [the capital city of Yemen] to establish an Islamic State," he writes. "But first, we want to make sure that we have the capability to gain control of it. Even though we were able to militarily and economically exhaust and weaken our greatest enemy before and after [the Sept. 11 attacks], the enemy continues to possess the ability to topple any state we establish." Bin Laden adds: "We have to remember that the enemy toppled the Taliban and Saddam's regime." Patrick Skinner, who served as a CIA case officer in the Middle East, says bin Laden was terrified of picking a fight he couldn't win. Skinner, who is now with the national security consultancy, The Soufan Group, says that in the years following Sept. 11, bin Laden's followers in north Africa and the Middle East were pushing hard to establish a physical territory, or caliphate. Bin Laden pushed back, and this issue of how and when to declare a caliphate became a serious fault line, says Skinner. "He was terrified of a jihadist civil war, of what is happening now. In every letter he wrote — he wrote a lot of letters — he would just stress patience, and don't be divisive. He didn't want the Muslim community to tear themselves apart. And he was right about that," Skinner adds. ISIS, of course, did not yet exist when bin Laden was writing all those letters. Bin Laden died in 2011; ISIS proclaimed a caliphate in 2014. But a senior U.S. intelligence official, who spoke on condition of anonymity, notes that "all the guts are there" in the letters, meaning, all the origins of the current dispute between al-Qaida and ISIS. As to whether bin Laden was right about the risks of creating a state, the official adds, "We're waiting to see if bin Laden was prescient." Counterterrorism analysts say bin Laden foresaw some of the key challenges that ISIS is grappling with today. Katherine Zimmerman, lead al-Qaida analyst on the Critical Threats Project at the conservative think tank American Enterprise Institute, says a critical one is that "once you start calling yourself a state, the people are looking to you to provide all the goods." Zimmerman says that's a problem in ISIS-controlled cities such as Mosul, in northern Iraq, where the group is struggling to provide basic services. "I think it's one of their core vulnerabilities," she adds. "It's something that we have not exploited enough." 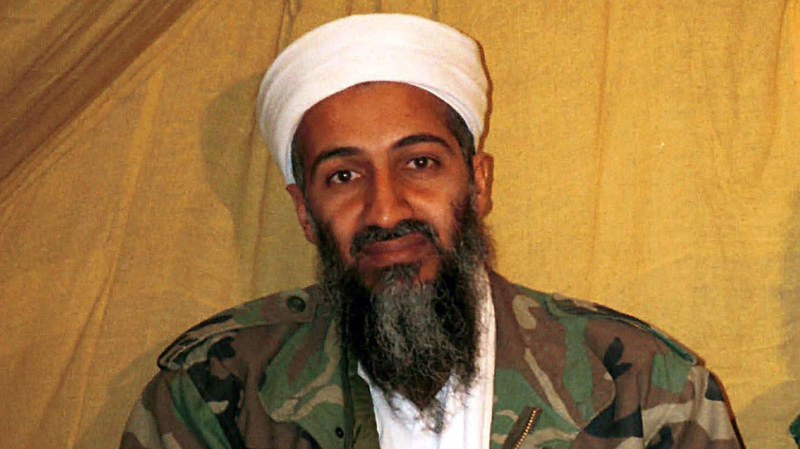 Aki Peritz, a former CIA counterterrorism analyst, says there's a second danger that bin Laden appears to have grasped: when you create a nation-state, you have to defend its borders from enemies. Peritz says it's instructive to consider how the fight to reclaim ISIS-held territory has unfolded thus far. "If you look at what happened in Ramadi and Tikrit [in Iraq], those two cities were basically leveled. And so if you take that and you push it toward what might happen in Mosul, you're going to demolish a city of 1.5 million people. Who's going to govern that area once they leave?" The military campaign to retake Mosul has yet to begin. In a January interview, Defense Secretary Ashton Carter told NPR that the Pentagon is laying plans to do so, and to destroy ISIS, "as soon as possible." But Peritz cautions that military action, no matter how decisive, won't erase sectarian tensions. "The drivers that created ISIS will remain," he says. " And unless we really deal with that in a political manner, you might actually find the son of ISIS or the grandson of ISIS, coming around the bend in five or 10 years." In other words, Peritz says, consider the specter of an even more brutal terrorist organization taking root in the Middle East — a development not even Osama bin Laden could have seen to predict.